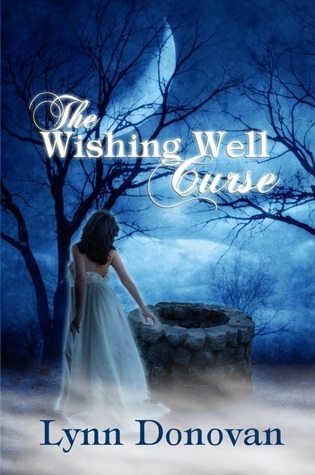 Welcome to my stop on The Wishing Well Curse blog tour! 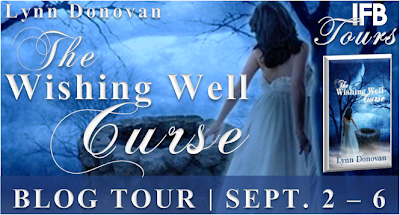 I have an excerpt from the book to share with you today and don't forget to scroll to the bottom of the post to enter the tour wide giveaway! You can follow the rest of the tour HERE. When a mysterious letter comes from a law firm in Colorado, he decides things just might be looking up. Now he stands to inherit a fortune, but it comes with a price. He must break a family curse and restore true love. What does he know about breaking a curse? And who is this Great Uncle Luther Clayton, who claims Zeke is the one? Can he piece together the clues left by his dearly departed? Who can he trust? The Apache Indian attorney? Her great nephew? The leather-clad, Harley riding Pastor? Least of all, himself? ...And why does his three-year-old tattoo bleed every time he gets near the wishing well? Zeke Clay squeezed his eyes shut, but sleep would not be forced. He let one restless eye open, then the other. The hands of the alarm clock crept from number to number. He’d seen every hour since two. Morning light, hardly more than a soft glow, was enough to justify getting up. Zeke threw back his homespun quilt and pulled on some jeans. A strange sensation caused goose bumps to chase a shiver as the air touched his bare chest. Was it excitement or dread? Maybe both. He pulled an old duffle bag from his closet, crammed in his clothes and the one thing he would not leave without, his mother’s photo album. He forced the zipper closed on the overstuffed bag. After he drew in a deep breath, he set his jaw, and scanned his room. What was he forgetting? He snapped his fingers. He should leave a note. At least he owed that to Evan. Zeke licked his dry lips and reached for a pen and paper. His mom and Evan had had some sort of understanding. It did not include marriage, but did include raising Zeke after she was gone. That had been seven years ago today, minus two weeks. On this cool October morning, he turned eighteen. He would relieve Evan James Clay of his obligation to Charlene Emily Davison by leaving. Besides, Evan had never fulfilled the role of Dad. Provider, yes. Dad, no. Zeke sat on his bed and wrote the letter. Short and sweet—say goodbye and thank you. It had to be just right. And for God’s sake, it couldn’t hint at any emotional tie. He had none. Other than a co-dependent fear of being alone. He folded the note over and wrote, To Evan. With the duffle in his right hand and the letter in his left, he walked out to the kitchen. He’d put it near the coffee maker. Evan would find it first thing— He rounded the kitchen door and jerked to a halt. Evan stood in the kitchen in his robe and boxers. He pushed the start button on the coffee machine and turned. His eyes darted down to the duffle and back to Zeke’s face. “What are you doing?” “I...I was leaving this for you.” Zeke lifted the folded paper. A slight tremble betrayed him. Evan’s brow pushed together as he reached for the note. Zeke shifted the duffle to his left hand. Steam rose from the coffee pot. It churned and groaned. The smell was pleasant—the wait, agonizing. “What’s this?” Evan said at last. “I’m leaving.” Zeke’s jaw muscle bunched. “Mom said I have a destiny. I was thinking it’s time I figure out what that is.” “Oh really?” The corner of Evan’s mouth twitched. “And just where will you go?” “I...I don’t know.” His eyes darted to the front door. “Well, isn’t that a great plan?” Anger churned in Zeke’s gut. He hadn’t thought this through. “Well, if you think you’re man enough to strike out on your own…” Evan shrugged as he poured his coffee. He sat down at the small kitchen table, and crossed his legs. “You gotta job lined up?” “…No.” Zeke stared at his duffle. He hated feeling like this. He hated Evan for making him feel like this. “I’m eighteen, today. I can leave if I want.” Evan stared at the black liquid in his cup. “Yeah, I guess you can, son.” Son. Since when does he call me son? His shoulders rounded. The duffle suddenly felt too heavy to carry. “Look, you’re right.” A forced, steady smile bowed Evan’s mouth. “You’re eighteen. You can leave if you want. But...I’d rather you didn’t. Besides, who’ll take out the trash, if you leave?” Evan winked. What? Trash? Is that all I am to him? Free labor? Zeke’s eyes met the man’s. He turned, without saying a word and slammed the door behind him. His rebuilt, primer-grey ‘67 Impala provided the escape. Dark streams of exhaust marked his route as he aimlessly drove from their west-side post-Vietnam era residential community toward downtown Austin. As he neared the North UT campus, he found where his destiny had led him. A tattoo shop. Skin2Skin. Between the shop and the next store front, a homeless man pushed himself up, out of a dirty alcove, and staggered past the tattoo shop’s window sign. It indicated the shop opened at ten. Zeke parallel parked at the curb. Tightness grabbed at his chest. God, how does a man like that stay alive? A shiver slithered down his spine. What would have happened to Zeke, if Evan hadn’t taken him in? An eleven-year-old on the streets like that. He shook his head. His knuckles faded to white as he gripped the steering wheel. Maybe Evan meant it when he called him son? He had helped Zeke rebuild this car. They were family—blood family. He looked down at the chrome eight-ball stick shift. It wasn’t so bad at his house. At least it was a roof over his head, regular meals on the table. Unlike this guy. Zeke tore his eyes from the tramp when a scarecrow-framed man with a stringy beard, obviously the shop owner, unlocked the metal overhead gate. After a moment of fumbling with a large ring of keys, he pushed the glass door open. Zeke locked his car and followed the man into the shop. M Lynn Donovan writes from her heart and her passion for Jesus Christ. 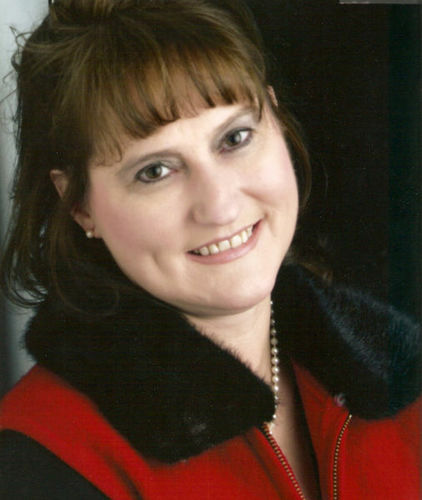 She is a daughter, wife, mother of four and grandmother of seven who has five decades of experiences to draw from when creating her stories. She categorizes herself as the "sandwich generation" because she is caring for her mother who has Alzheimer's and is one child away from an empty nest. Love the cover! Look forward to reading. Thank you for a wonderful giveaway.